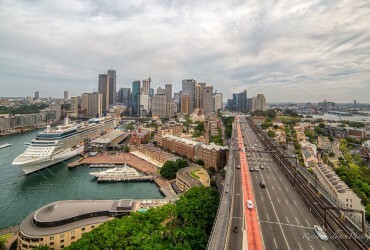 The P&O Aurora, launched in 2000, has recently undergone a multi-million dollar transformation. 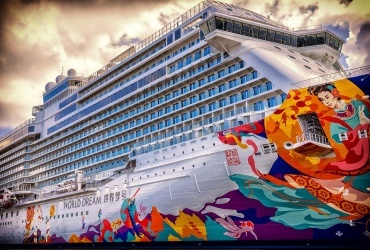 Most notable is the visual appeal of the ship, adorned with a contemporary Union Flag design on the bow. Another feature immediately noticeable is the long bow and tiered stern; features of a true ocean-going vessel. 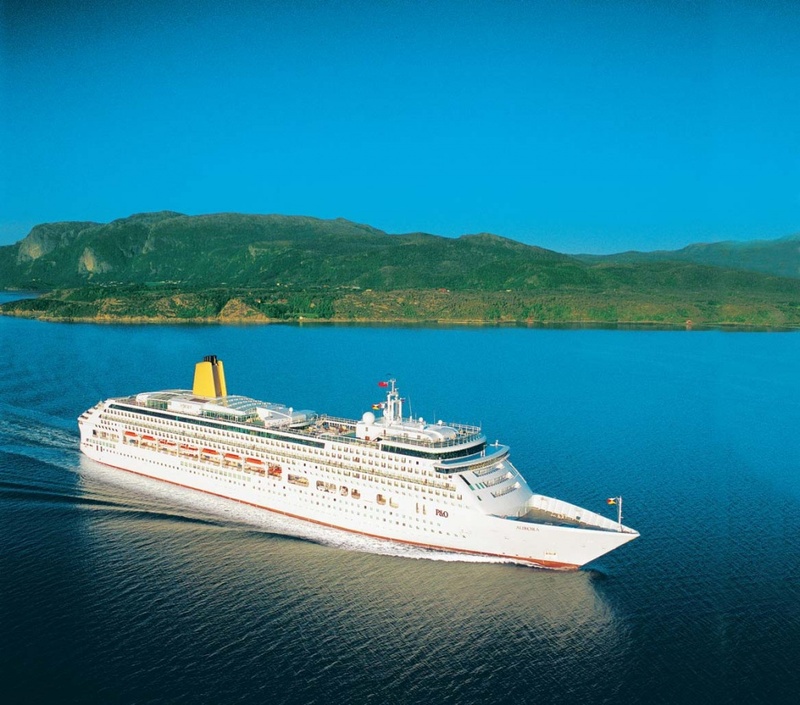 Aurora has been revamped inside and out, and continues its role as one of P&O’s most popular cruise ships. The new look Aurora is emblematic of the changing focus of P&O, where modern cruising meets the traditional style of British sea-going vessels. The recent refit has added sparkle and freshness to all public spaces on the ship, providing passengers with exceptionally comfortable seating and improved dining experiences. 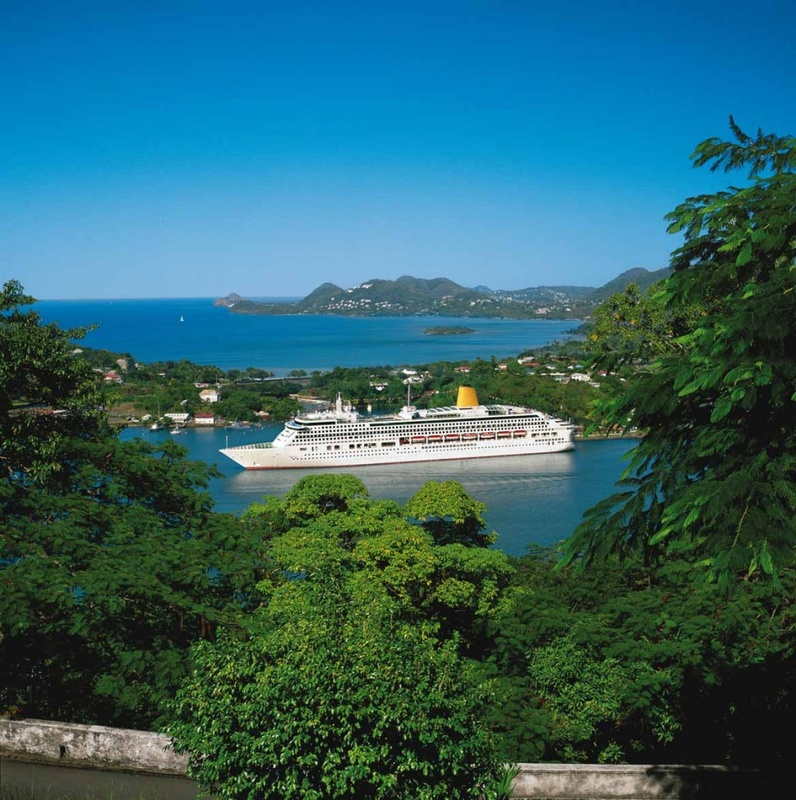 Aurora retains the signature P&O style that focuses on adult and mature age cruisers, but kids and teens facilities have been re-jigged on this family-friendly vessel to make sure everyone has a great time onboard. 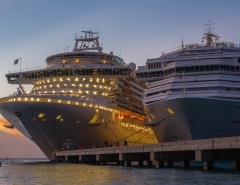 Aurora is a mid-sized cruise ship compared to the more recent cruising trend toward mega-ships. The vessel hosts close to 1,900 passengers who are served by 850 crew/staff. 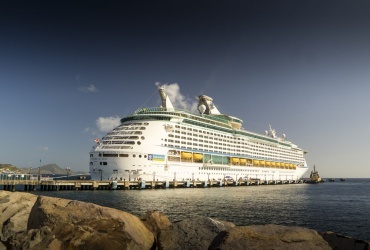 The ship is large enough to instil excitement, and never feels too crowded. 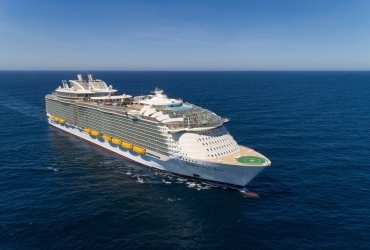 There are 10 passenger decks, 6 restaurants (some recently transformed), 10 bars, 3 swimming pools and 4 jacuzzis. 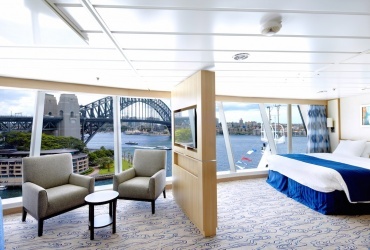 A major focus of the recent refit has been the cabins, with all 934 rooms receiving plush furnishings and flat-screen TV’s. In all, there are ten cabin categories with varied configurations. Larger family and group bookings are catered for with interconnecting cabins, additional beds, sofa beds and pull-down berths. 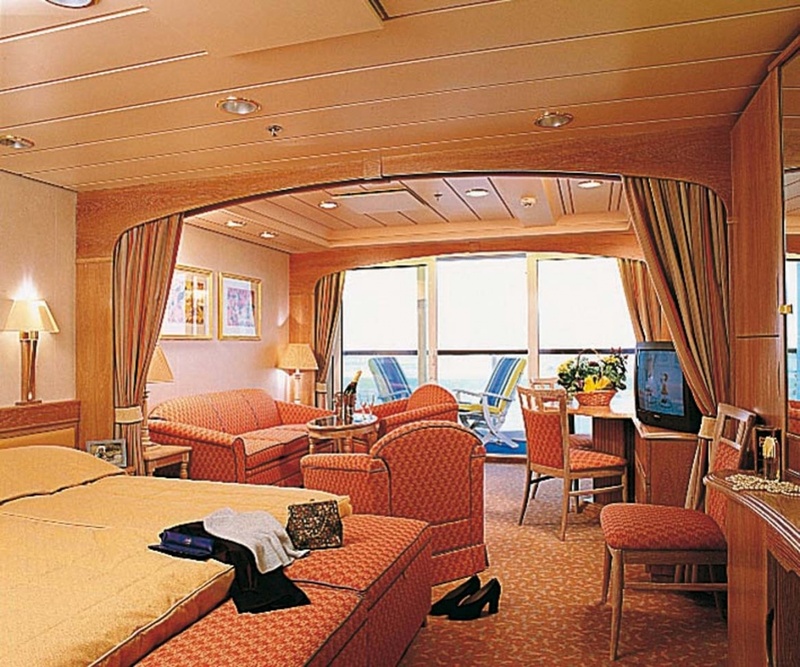 Penthouse suites: These largest Aurora suites are for luxury minded cruisers, and include two levels linked by a spiral staircase leading to the upstairs bedroom. The large balcony is accessed via floor to ceiling glass doors. Other facilities include a whirlpool bath, walk-in dressing area, guest cloakroom, lounge area, dining table and chairs, bar area and stereo system. The Piano suite has a baby grand piano. Penthouse Suite passengers also enjoy butler service, newspapers/magazines, binoculars, a library and a range of welcome gifts including flowers and champagne. Suites: All suites on Aurora have a bath and shower, and passengers are provided with a bounty of welcome gifts on arrival. The larger suites have a sizeable balcony, comfortable sunloungers, whirlpool bath, twin beds that convert to king-size, walk-in dressing room, sofa, chairs, flat-screen TV, stereo, desk, refrigerator, phone and safe. The butler service is an optional extra. Mini suites: Smaller balcony with chairs and a table, separate bedroom area with twin beds convertible to king size, whirlpool bath, shower, sofa, chair, table, TV, DVD player, phone, writing desk, refrigerator and safe. 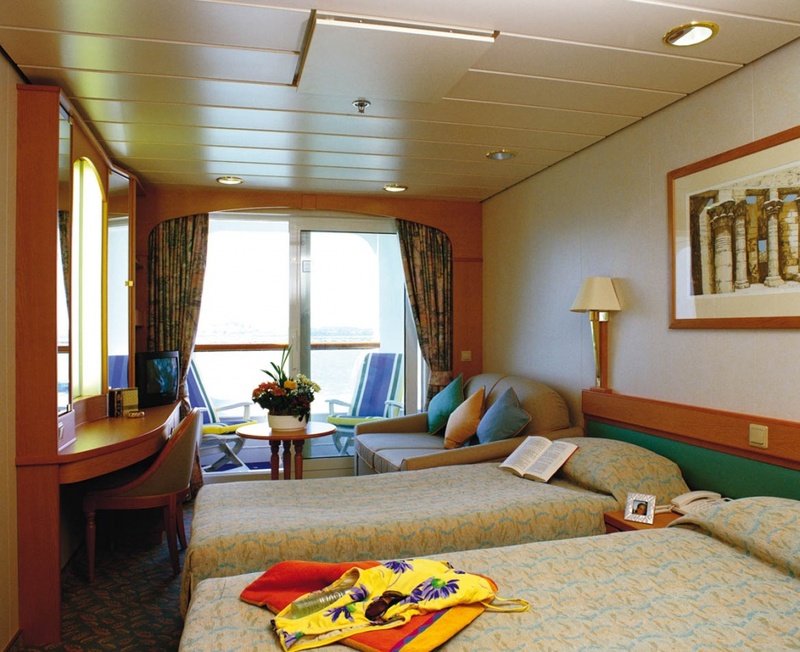 Balcony cabins: These are smaller than the suites, but still include a balcony for enjoying the outdoor vistas. Other amenities include twin beds convertible to king size, bath, shower, sofa, chair, table, TV, desk, phone, refrigerator and safe. Oceanview cabins: These comfortable cabins contain the same plush bedding as the suites, and have a picture window or porthole instead of sliding doors and a balcony. There is also plenty of wardrobe and storage space. Oceanview cabins contain a shower, or combined shower/bath, vanity/writing desk, TV, phone, safe, plus tea and coffee making facilities. 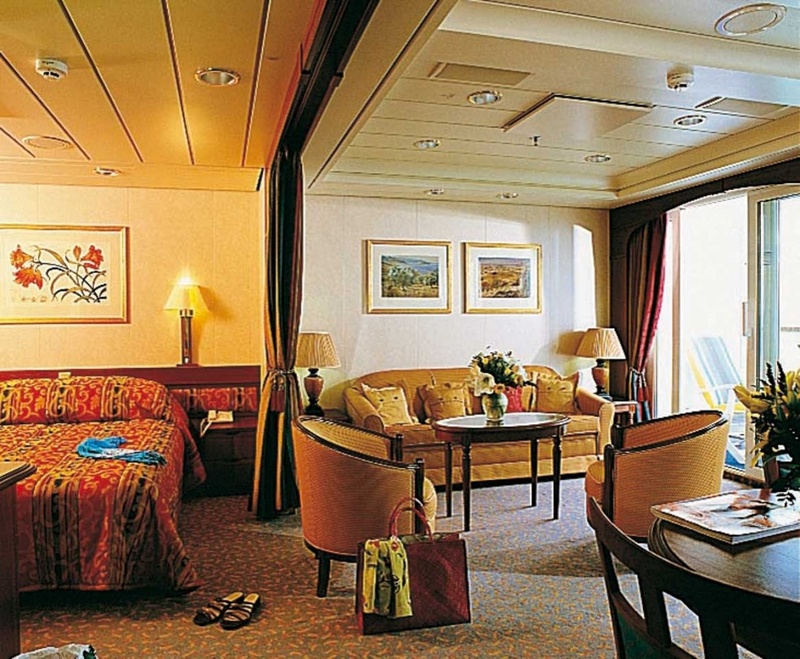 Interior cabins: These budget conscious cabins are still great for comfort and privacy, and ideal for those who only require a place to sleep in between shipboard fun. Amenities include twin beds that convert into king size, shower, vanity/writing desk, TV, phone, safe, plus tea and coffee making facilities. 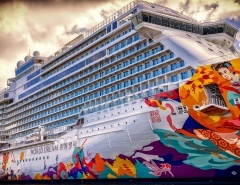 A major transformation took place on Aurora prior to the 2015 cruising season. 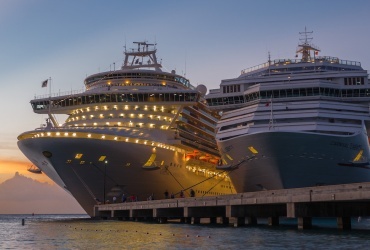 The changes are most noticeable in the restaurant and dining areas which have been designed in keeping with the expectations of modern cruisers. Meals are available 24-hours, and Freedom Dining has been introduced in the Medina Restaurant. Atul Kochhar’s signature Indian fusion restaurant can be found on Deck 8, the Glass House speciality restaurant is also on Deck 8. The Lido Buffet and Sidewalk Cafe have also been renovated and reborn. Medina Restaurant: Freedom Dining allows you to arrive anytime without a booking, and if you prefer a table for two you will be notified by pager when your table is available. 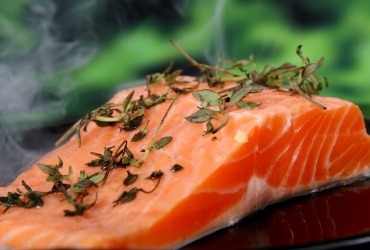 Menus are designed for British tastes, but there is so much on offer that no one need go hungry. You can choose from the classic menu or order a la carte. Gala evenings introduce passengers to Marco Pierre White’s menu for a first-class experience. Medina is open for breakfast, lunch and dinner. Alexandria Restaurant: This establishment has the same menu as the Medina, including Marco Pierre White’s offerings, and is open for dinner from 6:30 pm to 9:30 pm. Although similar to Medina, the choice of two restaurants means there is very little waiting time for a meal. The Lido Grill: The Lido replaces the Sidewalk Cafe and provides an all-new ‘Grab and Go’ counter, so you can take your tasty treats elsewhere around the ship to enjoy at your leisure. The Lido Grill is open for breakfast and lunch. The Horizon: Refurbishments focussed on The Horizon which now has an inviting new décor. Horizon is a popular self-service buffet that is open round the clock, and you can enjoy your hearts desire for breakfast, lunch, afternoon tea, children’s tea, dinner and even late-night snacks until 2 am. The fresh juice and special herbal teas are very popular. Sindhu: A signature Indian fusion restaurant designed by Atul Kochhar, where diners savour the many and varied tastes of India in equally exotic surroundings. Bookings are recommended for dinner between 6:30 pm to 9:30 pm. The Glass House: An a la carte restaurant and wine bar featuring self-service wines by the glass. There is also a private room available for wine tastings and dinners. 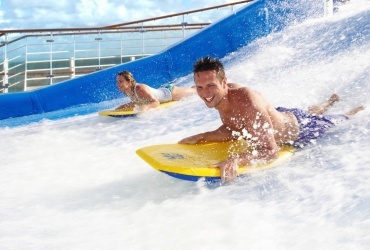 Room service: Everyone likes to be pampered, and cruising is the perfect opportunity to take advantage of room service. This 24-hour service includes burgers, pasta, sandwiches, snacks and more. 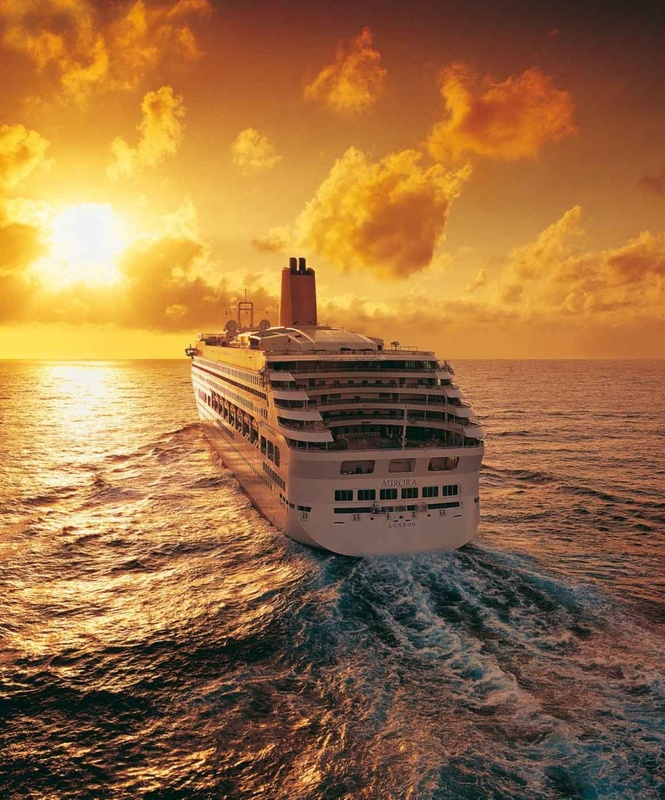 The Curzon Theatre on Deck 7 is a major show venue where you will sing along with tribute groups and singers, or join in the revelry with onboard comedians. The Playhouse cinema is another pleasurable diversion where you can view recent release movies in comfort. At night the Aurora comes alive with more song and dance, including a late night disco and karaoke. The recent refit included upgrades to all sound and lighting. Carmen’s show lounge hosts the Headliners Theatre Company, famous for production shows such as ‘Killer Queen in Concert”. 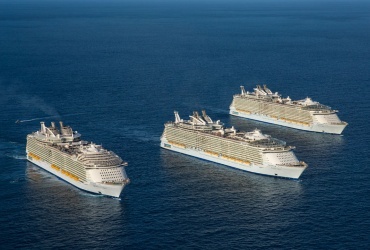 Over the space of 7 nights passengers enjoy 4 different shows, with even more shows on longer cruises. This venue also hosts ballroom dancing to the accompaniment of the Spectrum orchestra. Champion’s bar and casino: The main onboard bar featuring live music, dancing, sports on TV, pub quizzes and karaoke. The Monte Carlo casino is quite small, with 4 gaming tables and some slot machines. Masquerade: A pub by day and a disco until the early morning hours. Charlie’s: A quaint bar that overlooks the Atrium. Expert pianists entertain guests. Anderson’s: Done up to replicate an English country manor, this is a great place to relax and enjoy a drink. Raffles: Located next to Sindhu, this space is typical British Raj style, and perfect for relaxing prior to dining. Terrace Bar: Located next to the Terrace Pool. The Crow’s Nest: The best place to enjoy a drink before or after dinner. Here you will appreciate expansive views from the top of Aurora. Pools have been a traditional feature of cruise ships during the past 50 years, and the Terrace Pool on Aurora is designed for family fun. The pool is located close to children’s rooms and there is even a paddling pool for the little ones. A whirlpool and bar will entice everyone else. Riviera pool is protected from wind by three terraces of deckchairs, and includes a whirlpool. The largest pool on Aurora is the Crystal Pool, which is perfect for cooler weather due to the sliding glass Skydome. It has two whirlpools, a bar, plus ample lounge chairs. 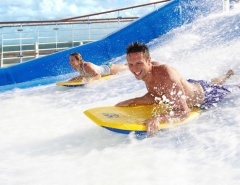 Active passengers appreciate the opportunity to head to the sports area at the stern of the vessel. Here you can play tennis, football, cricket, basketball, or practice your swing in the golf nets. There is even a golf simulator with dozens of course options. The wraparound promenade is a great feature on Aurora, providing the opportunity for a brisk walk, casual saunter or jog around the ship. The Oasis Spa is another venue that has benefited from refurbishments. This welcoming area is the place for massage, facials, grooming and many more treatments. 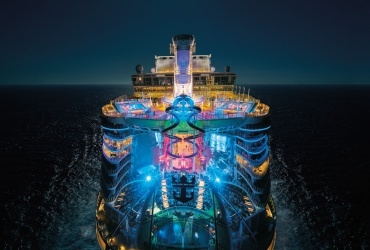 Fitness buffs will appreciate the well-equipped gym on Deck 11. Here you can also join a variety of classes, including Tai Chi, yoga and Pilates, or take lessons from a personal trainer. 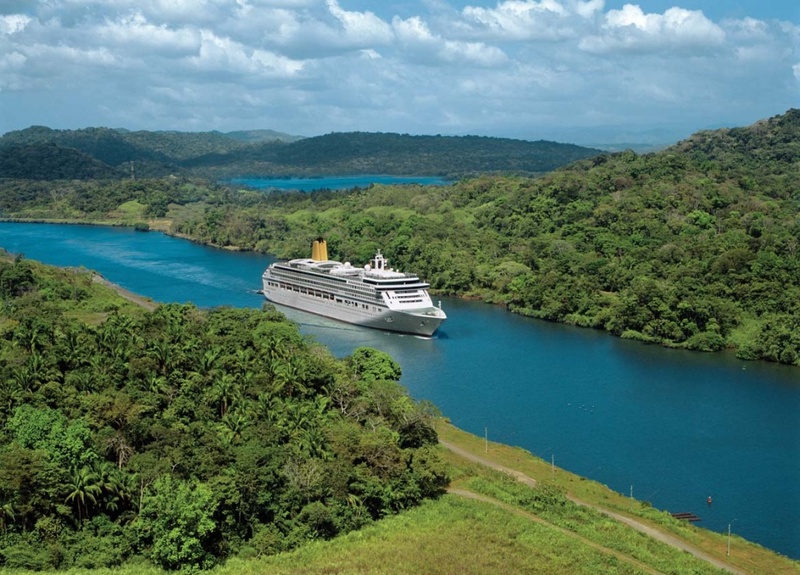 Aurora sails the seas around Britain, the Baltic, the Caribbean and the Mediterranean, and even a world cruise that visits the US, Panama Canal, Honolulu, Australia, New Zealand, and the best of Asia. 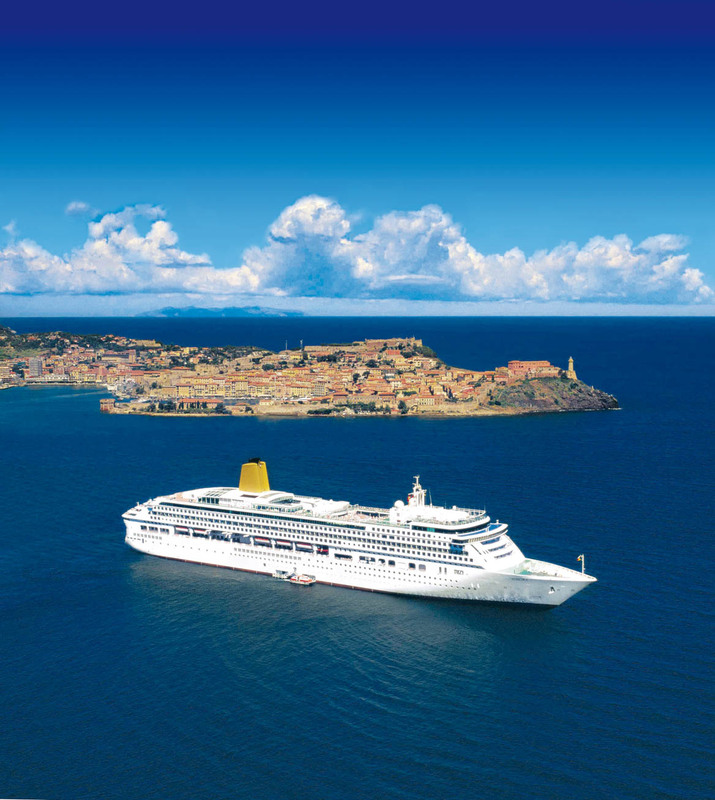 For cruisers with adventure in mind, P&O’s Aurora could be just the ticket. Click on the image below to download the P&O Aurora desk plans. What’s your experience with P&O’s MV Aurora? Let me know in the comments!